PT Waskita Karya (Persero) Tbk - Waskita is one of the largest Indonesian state-owned construction company. Based in Jakarta, Waskita has core business competencies on Construction, precast, realty, toll road and energy. The Company was formed on 1 January 1961 as a nationalization result of foreign company named "Volker Aanemings Maatschappij NV" based on Government Regulation 62 of 1961. 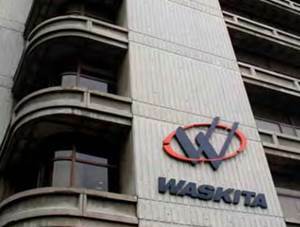 In 2012, WASKITA went public and its shares are traded on Indonesia Stock Exchange (IDX) with ticker code WSKT. As of December 2016, PT Waskita Karya (Persero) Tbk is 66.04% owned by the Government of Indonesia and 33.96% remaining shares by public.At present, Waskita has 30 domestic branch offices and 4 overseas branch offices (Uni Emirat Arab, Saudi Arabia, Malaysia and Timor Leste). Waskita also supported by 5 directly-owned subsidiaries and 6 indirect-ownership subsidiaries. In term of financial performance, WASKITA is running well in the full year of 2016. According to PT Waskita Karya (Persero) Tbk Annual Report 2016 as cited by JobsCDC.com, WASKITA recorded total revenue of Rp 23,788.32 billion in 2016 or an 68.08% increase from Rp 14,152.75 billion in 2015. Total net income for the year 2016 increased by 73.07 % year-on-year to Rp 1,813.07 billion from Rp 1,047.59 billion in 2015. Maximum age of 35 years old (experienced). Minimum 2 years of experience in bridge and highway projects. Have expertise understanding and experience in Finance a highway project. Willing to be placed in all working area of WASKITA. Maximum age of 40 years old (experienced). Minimum 5 years of experience in bridge and highway projects. Have expertise understanding and experience in asphalt and concrete highway project. D3 Occupational Health and Safety. Have expertise understanding and experience in HSE highway project. SMK, D3/S1 Civil Engineering or for those who have experience in highway projects. Have expertise understanding and experience in highway project. Have expertise understanding and experience in project contract and administration. Education background in Civil Engineering. JobsCDC.com now available on android device. Download now on Google Play here. Please be aware of recruitment fraud. The entire stage of this selection process is free of charge. PT Waskita Karya (Persero) Tbk - SMK, D3, S1 Staff, Engineer, Manager WASKITA April 2017 will never ask for fees or upfront payments for any purposes during the recruitment process such as transportation and accommodation.